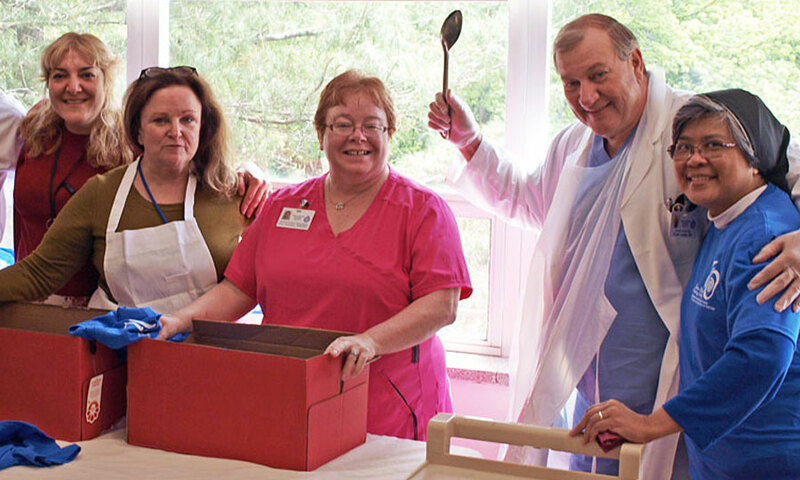 Mother’s Day started our National Nursing Home week on Sunday, May 13th, but we made sure to continue the celebration with our Staff and Residents all week long. It was a wonderful way to say “Thank You” to our great staff and celebrate with our many Residents. Doughnuts and coffee were provided all day on Monday, musicians entertained throughout the week, games were played, and prizes were handed out. 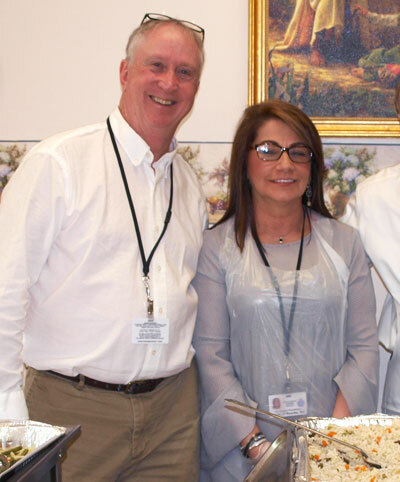 On Thursday, all staff were encouraged to take a break and sit down to a delicious lunch served up by the Administrative Staff. 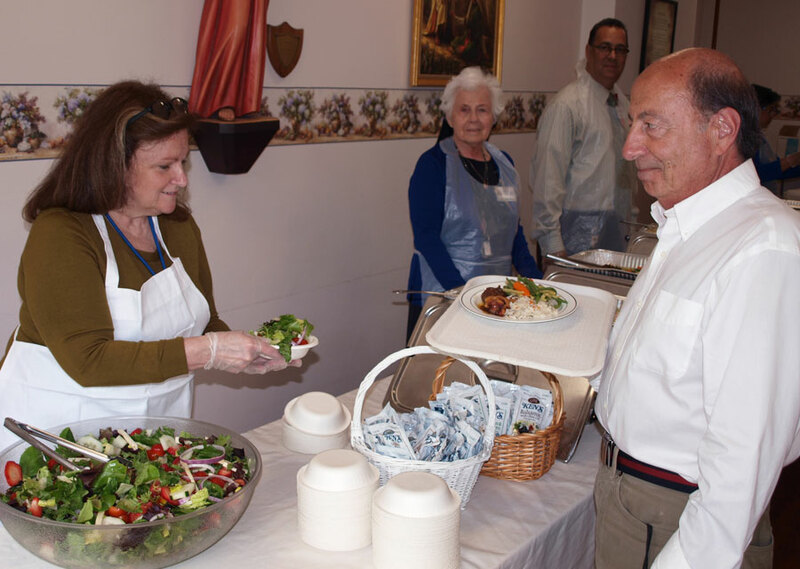 It was just one more way we could show our gratitude to the many employees that help Sancta Maria make a difference in the lives of the many Elderly in our care. We could not do it without them. 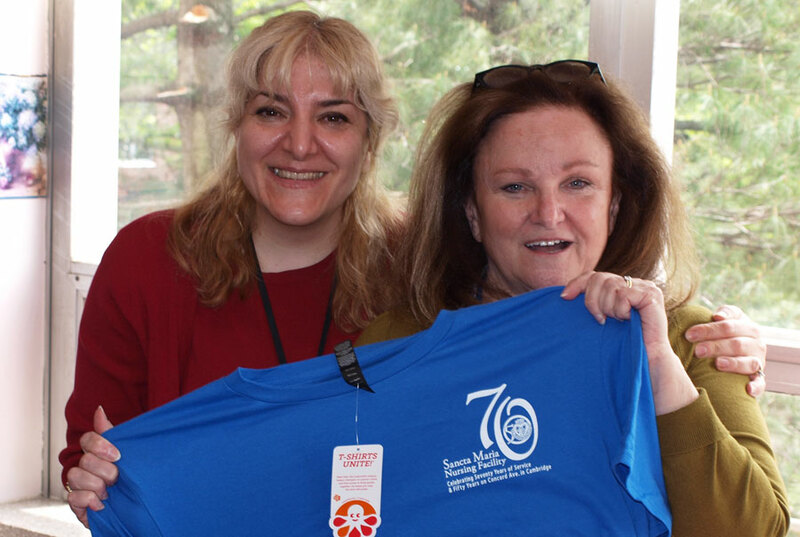 And since we are celebrating our 70th and 50th anniversaries this year, each employee was given a T-shirt which commemorates this special occasion! Our 2018 Speakers Series kicks off with special guest speaker Dr. Erin E. Stevens from MGH!